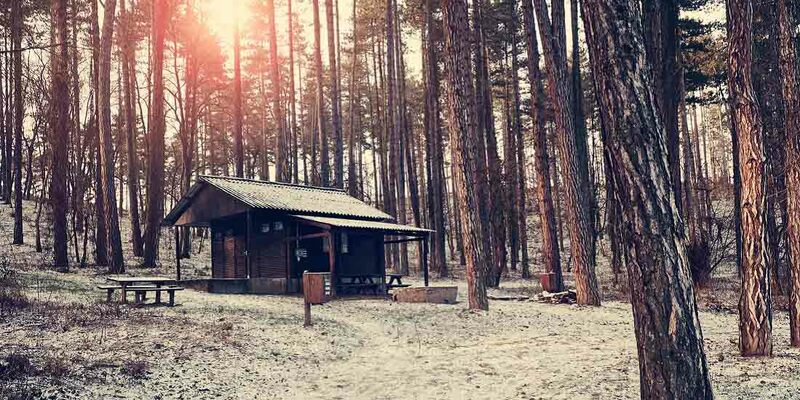 As tensions ramp up between countries around the world, more and more people are starting to think about what it means to live off the grid, and how they can prepare for a survivalist lifestyle. If you’re interested in finding out how you can get plans in place to deal with a worst-case scenario, read on for some valuable prepping tips to help you get started. For most people, the idea of off-grid living means using solar or wind energy, instead of being tied to the electrical grid. In truth, this is just one step along the way. If you want to truly get off-grid, you’ll need to remove yourself from all other municipal services – power, water, trash, and sewage. You’ll need to stop depending on outside sources and develop systems to generate your own power, produce water, grow your own food, and dispose of waste. You won’t be able to live completely off the grid inside of a city. Instead, you’ll have to consider investing in a piece of land where you can establish the systems you need to cover all your basic needs. Consider things like seasonal weather, the size of your plot, and environmental factors like tree cover, soil quality, and proximity to a water source. In the beginning, setting up your new homestead is going to require some hard work. It takes a lot of effort to make an off-grid home functional, and even more work to make it comfortable and efficient. You’ll need to develop a garden, hunt and fish for your own meat, start and maintain a fire, and locate and chop wood for storage – and that’s just to begin with. Read as much as you can about homesteading, permaculture, and prepping to gain a solid understanding of what you’re getting yourself into. Eventually, living off-grid will be very inexpensive, but it does necessitate a bit of a financial investment to get going. You’ll need to either build everything yourself or purchase things like a home and equipment, which can cost tens of thousands of dollars or more depending on how much you need. You also want to make sure you don’t have any outstanding debts before you make the move to off-grid living. There are some really important things to stock up on for off-grid living. A generator is a good thing to have for an emergency power source, although it will require fuel. You’ll need to pick up some large containers for water storage, which you should keep filled and ready to go whenever necessary. Grab cleaning supplies and a first-aid kit, and the best LED flashlight within your budget. Other extras will include bulbs for your lights, batteries, ammunition, matches, and lighters. You can also start prepping by stocking a storage room with food items. Buying in bulk can help you save a lot of money, so go to a big-box store like Costco or Wal-Mart to pick up whatever you can. Things like rice, dried beans, olive oil, oats, flour, sugar, and salt are great options, as well as plenty of canned fruits and vegetables. Canned meats can come in handy if you’re stuck inside and can’t get out to hunt – or if you just run into a stretch of bad luck. Peanut butter is a perfect survival food, with a shelf life of over two years and plenty of protein and calories. Before you put everything in storage, label it with the date you purchased it. Always use the oldest supplies first, to maintain freshness as much as possible. Check out this FREE 15 piece survival kit from apesurvival.com! The kit is absolutely free, shipping is extra, $6.95 USD for the USA and $9.95 USD for International!